1. 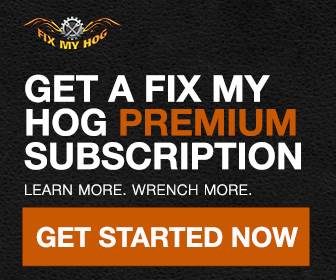 Sweepstakes Entry Period/Sponsor: The Fix My Hog Show Us Your Hog Photo Sweepstakes (“Sweepstakes”) begins at 12:00:01 AM, Eastern Time (“ET”) on 06/23/15 and ends at 11:59:59 PM ET on 07/10/15 (the “Sweepstakes Entry Period”). Sponsor: TN Marketing LLC (“Sponsor”), 1903 Wayzata Boulevard East, Wayzata, MN 55391. Sweepstakes is governed by U.S. law. Void where prohibited by law. 2. Eligibility: The Sweepstakes is open to individuals who are: legal residents of the 50 United States or District of Columbia age 21 or older. You must have a registered account on Facebook.com. Employees of Sponsor, its affiliated companies and its advertising and promotion agencies and anyone involved with the Sweepstakes (collectively, “Sweepstakes Entities”), and their immediate family members and/or those living in the same household of each are not eligible to enter or win. – The Photo is the sole, original work of Entrant and is not copied from any other work and does not infringe upon the rights of any third party. – Entrant will hold harmless Sweepstakes Entities from any claim by any third party relating to any rights in the Photo or your Entry. 5. Licensed Rights: Entrants retain ownership of the Entries they submit, however, by entering, Entrant, on behalf of him/herself and any Third Party Participants or Identified Invididuals, grant Sweepstakes Entities, the perpetual, fully-paid, irrevocable, non-exclusive license to reproduce, prepare derivate works of, distribute, display, exhibit, transmit, broadcast, televise, digitize, otherwise use, and permit others to use and perform throughout the world the Entry or Photo in any manner, form, or format now or hereinafter created, including on the internet, and for any purpose, including, but not limited to, advertising or promotion of Sponsor and the Sweepstakes all without further consent from or payment to Entrant or any persons whose material is incorporated in the Entry or Photo or who assisting in the creation of the Entry or Photo. Entries may be published and posted online but Entrants agree that Sponsor has no obligation to post or publish the any Entry, that all such postings or publication, if any, will be in Sponsor’s sole discretion and that the posting or publication of any Entry or Photo does not indicate that the specific Entry or Photo is a winning Entry. By entering the Sweepstakes, each Entrant also agrees that the Photo may be posted and shared by other others as is associated with Facebook.com. 6 Prize: One prize package will be awarded: A coupon code to be redeemed in the Fix My Hog store for a Drymate Motorcycle Mat (Total Approximate Retail Value = $63.99). Taxes, if any, on prize are the sole responsibility of the winner. For any prize valued at $600 or more the winner must provide social security number and an IRS Form 1099 will be filed in the name of the winner as required by law. No substitutions on prize will be permitted, except the Sponsor may make any substitution it deems necessary of equal or greater retail value. Prize is not transferable. Subject to availability. 7. Selection of Winner: The winner will be determined in a random drawing from all eligible Entries received on or about 07/13/15 conducted by representatives of Sponsor whose decisions are final and binding in all matters relating to this Sweepstakes. Odds of winning depend on the number of eligible Entries received during the Sweepstakes Entry Period. 8. Winner Notification: The potential winner will be notified via the email they provided at Entry. The potential winner will be required to execute an affidavit of eligibility and release (“Release”) within 7 days of the date on the Release to be eligible to be awarded the prize. If a potential winner is a minor as determined by the laws of the state in which s/he resides (“Minor ’), the Minor’s parent or legal guardian will have to sign the Release on the Minor’s behalf. If a potential prize winner does not respond to the winner notification email (email will be sent three (3) times over a five (5) day period), or if said email is returned as undeliverable, or if the potential prize winner does not return the executed Release within 7 days, or if an Entrant is otherwise found to be ineligible, does not provide required information, or if the selected winner cannot accept or receive the prize for any reason, the potential prize winner will forfeit the prize and an alternate winner may, in the sole discretion of the Sponsor and time permitting, be selected from among the remaining eligible Entries. The Sponsor reserves the right to modify the notification procedures in connection with the selection of an alternate winner. All decisions and results of Sponsor are final and binding. 9. General: Entrants agree to these Official Rules and the decisions of the Sponsor, and on their behalf, and on behalf of their respective heirs, executors, administrators, legal representatives, successors and assigns (“Releasing Parties”), release, defend and hold harmless the Sweepstakes Entities, Facebook , as well as the respective employees, officers, directors and agents of each (“Released Parties”), from any and all actions, causes of action, suits, debts, dues, sums of money, accounts, reckonings, bonds, bills, specialties, covenants, contracts, controversies, agreements, promises, variances, trespasses, lost profits, indirect or direct damages, consequential damages, incidental damages, punitive or exemplary damages, judgments, extent, executions, claims and demands whatsoever, in law, admiralty or equity, whether known or unknown, foreseen or unforeseen, against Released Parties which any one or more of the Releasing Parties ever had, now have or hereafter can, shall or may have which in any way arise out of or result from Entrant’s participation, acceptance and use or misuse of any prize. Sponsor is not responsible for any typographical or other error in the printing of the offer, administration of the Sweepstakes or in the announcement of any prize. The Winners acknowledge that the Sponsor and all other businesses concerned with this Sweepstakes and their agents do not make, nor are in any manner responsible for any warranty or representations, expressed or implied, in fact or in law, relative to the quality, conditions, fitness or merchantability of any aspect of the prize except that such prize shall be subject to manufacturer’s standard warranty. Sponsor will not be liable if Sponsor is prevented from continuing with the Sweepstakes as contemplated herein by any event beyond its control, including but not limited to fire, flood, earthquake, explosion, labor dispute or strike, act of God or public enemy, satellite or equipment failure, riot or civil disturbance, terrorist threat or activity, war (declared or undeclared) or any federal, state, or local government law, order, or regulation, or order of any court or other cause not within Sponsor’s control. Entrants assume all liability for any injury, including death or damage caused or claimed to be caused, by participation in this Sweepstakes or use or redemption of any prize. This Sweepstakes shall be governed by and interpreted under the laws of the State of New York, U.S.A. without regard to its conflicts of laws provisions. Any and all disputes, claims, and causes of action arising out of or in connection with this Sweepstakes, shall be resolved individually, without resort to any form of class action. ANY CLAIMS, JUDGMENTS AND/OR AWARDS SHALL BE LIMITED TO ACTUAL OUT-OF-POCKET COSTS ASSOCIATED WITH ENTERING THIS SWEEPSTAKES. ENTRANT HEREBY WAIVES ANY RIGHTS OR CLAIMS TO ATTORNEY’S FEES, INDIRECT, SPECIAL, PUNITIVE, INCIDENTAL OR CONSEQUENTIAL DAMAGES OF ENTRANT, WHETHER FORESEEABLE OR NOT AND WHETHER BASED ON NEGLIGENCE OR OTHERWISE. Notwithstanding any other provision in this Agreement and without waiving either party’s right to appeal such decision, should any portion of this provision be deemed invalid or unenforceable, then the entire provision (other than this sentence) shall not apply. Entry materials/data that have been tampered with or altered, or mass Entries or Entries generated by a script, macro or use of automated devices are void. The Sponsor is not responsible for: (i) lost, late, misdirected, illegible Entries; (ii) error, omission, interruption, deletion, defect, delay in operations or transmission, theft or destruction or unauthorized access to or alterations of Entry materials, or for technical, network, telephone equipment, electronic, computer, hardware or software malfunctions of any kind, or inaccurate transmission of or failure to receive Entry information by Sponsor on account of technical problems or traffic congestion on the Internet or at any web site or any combination thereof; (iii) any injury or damage to Entrant’s or any other person’s computer related to or resulting from participating in the Sweepstakes, or (iv) the failure of any third party to comply with the instructions and proper administration of this Sweepstakes. Sponsor reserves the right to permanently disqualify from any sweepstakes it sponsors any person it believes has intentionally violated these Official Rules; and terminate the Sweepstakes if it becomes technically corrupted (including if a computer virus or system malfunction inalterably impairs its ability to conduct the Sweepstakes), or to select winners from among all eligible Entries received prior to termination. LEGAL WARNING: ANY ATTEMPT BY AN INDIVIDUAL, WHETHER OR NOT AN ENTRANT, TO DELIBERATELY INTERFERE WITH THE OPERATION OF THE SWEEPSTAKES, IS A VIOLATION OF CRIMINAL &amp; CIVIL LAWS AND SPONSOR RESERVES THE RIGHT TO SEEK DAMAGES AND DILIGENTLY PURSUE ALL REMEDIES AGAINST ANY SUCH INDIVIDUAL TO THE FULLEST EXTENT PERMITTED BY LAW. 10. Winners Name: For the name of the winners (available 30 days after the Sweepstakes ends) send a stamped, self-addressed envelope (postage not required for Vermont residents) no later than 90 days after the Sweepstakes ends to FMH Show Us Your Hog Photo Sweeps c/o TN Marketing LLC., 1903 Wayzata Boulevard East, Wayzata, MN 55391. This Sweepstakes is not sponsored, endorsed or administered by Facebook, nor is Facebook associated with the Sweepstakes in any way. You understand that you are providing information to Sponsor and not to Facebook. Any questions, comments or complaints regarding the Sweepstakes must be directed to Sponsor and not to Facebook. Facebook is a registered trademark of Facebook, Inc.